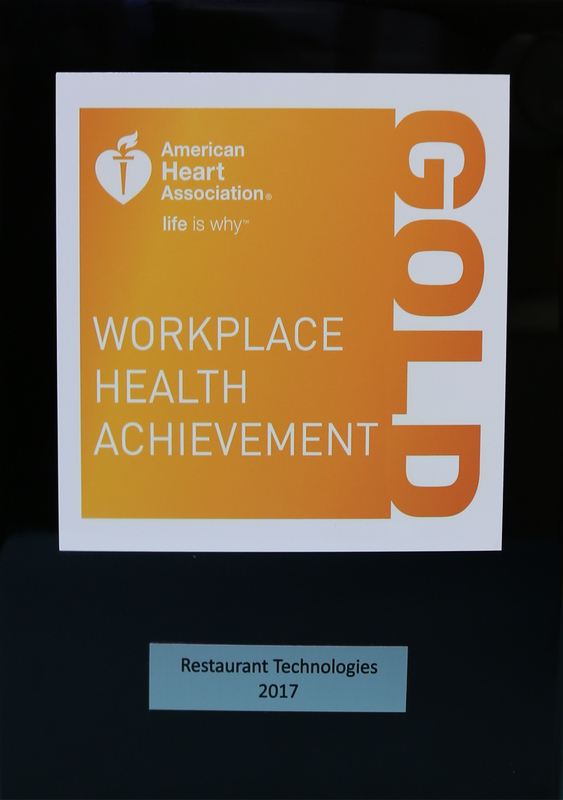 Restaurant Technologies is proud to announce that we have earned the Gold Workplace Health Achievement Award from the American Heart Association. Our focus on wellness and creating a healthy work environment has earned this award. The American Heart Association has defined best practices for employers to use to build a culture of health for their employees in the workplace. The American Heart Association’s Workplace Health Achievement Index measures the extent to which the company has implemented those workplace health best practices. If you’d like to learn more, visit www.heart.org/workplacehealth.